Vandalism at sewage pump stations and poor design of the waste water reticulation in Makhanda’s (Grahamstown’s) Extension 6 are the main reasons rivers of sewage flooded homes in the area early on Monday 4 February, Municipal Manager Moppo Mene told Grocott’s Mail Tuesday 5 February. With Water and Sanitation staff on Friday 1 February joining a strike by workers in Makana’s Parks, Cleansing and Electricity departments, a private company was on Monday sent to investigate for blockages and breaks in the pipes in the area. Meanwhile, the Mayor says the possibility of deploying Community Work Project members to clean the city is being discussed. 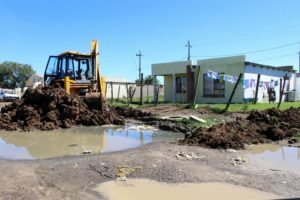 When Grocott’s Mail reached sewage-flooded houses in Extension 6 on Tuesday morning, a mechanical digger was at work uncovering the sewer in the road outside Pinky Kamana’s house. Kamana was helping a neighbour salvage her possessions from the dams of foul liquid filling the rooms of her house . Opposite, Vuyokazi Stuurman was mopping up in the house she and her children share with her elderly grandmother, Dambisa Nxopho, and Vuyokazi’s two brothers. “It was about 6 on Monday morning that we noticed it. That sewage pipe (she pointed to a junction cover in the road) burst. 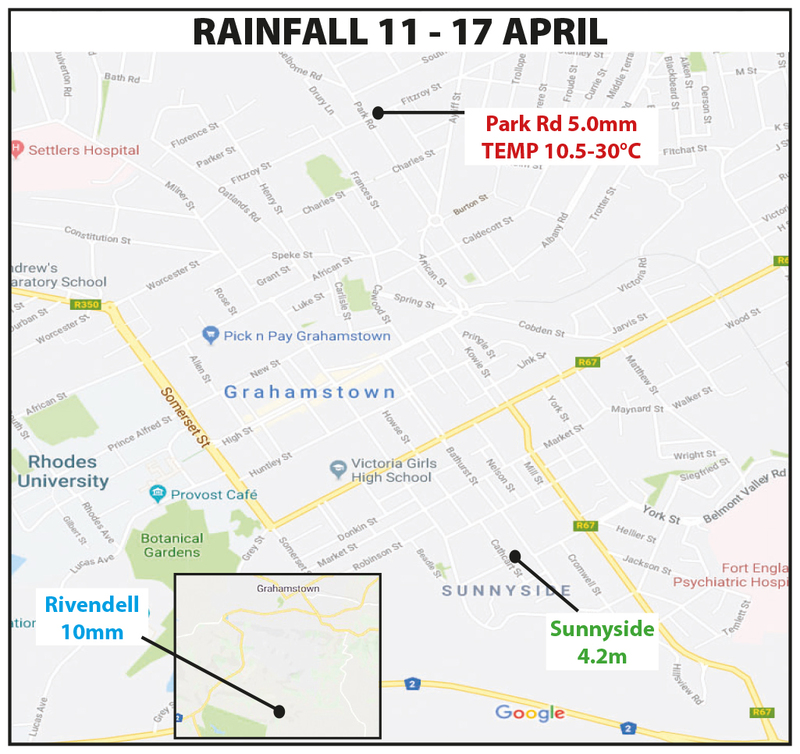 It was spraying straight up, poured down the road and came straight into our yard, flooding the whole house,” Stuurman said. Family members were frantically trying to save what they could. 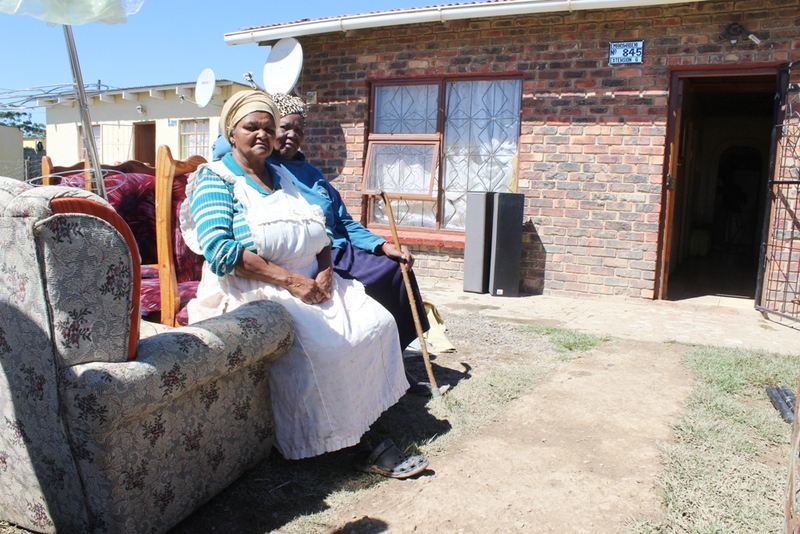 Nxopho sat outside with a neighbour on her lounge furniture which had been carried out to dry. The cloying smell of raw sewage combined with the acrid burn of Jeyes Fluid as families up and down the street frantically tried to make their homes liveable. They were despairing, angry, desperate. 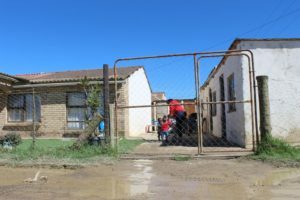 “There’s s…t all over Grahamstown,” said Extension 6 resident Mbulelo Qonqa. His home had escaped the worst of the flooding. “Everything is going down our streets, into the stormwater drains and into the rivers. It starts here! These pipes have been blocked for a long time. They should have been sorted out last year!” he said angrily. At Phaphani creche, Pamela Ntleki and other caregivers shepherded children away from puddles of sewage. Municipal Manager Moppo Mene said the spills were caused by poorly designed reticulation, and blockages by foreign objects. “We requested a hydroblaster and cleared the pump station of debris,” Mene told Grocott’s Mail Tuesday afternoon. He confirmed that a private company had been instructed to remove foreign objects from the sewer and replace broken pipes. The pipes were very deep, narrower than they should be, and the area was very flat, Mene said, This combined with vandalism at the sewage pump stations and blockages caused by people flushing large objects or unsuitable materials down toilets, were part of the reason the area frequently floods, he said. “The design of the system is not correct,” Mene said. A project to upgrade reticulation with bigger pipes, and carried out by subcontractor Mfuraa, had been funded by a grant from the Province through the Eastern Cape Development Corporation. 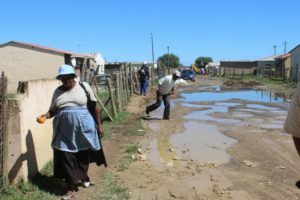 It had inexplicably come to a halt and none of the people involved – suspended Technical and Infrastructure Director Dali Mlenzana, former Water and Sanitation Manager Ntombi Tshicilela, or the former project director from ECDC – had handed over a progress report. Mene was yesterday set to meet with the new ECDC project manager to be briefed. *Grocott’s Mail spoke to Mfundo Kwani of East London based Mfuraa Projects & General, who said they’d completed two sewer lines – one in Joza and one in Hooggenoeg. “As you know, in Grahamstown there’s a big problem with sewers,” Kwani said. 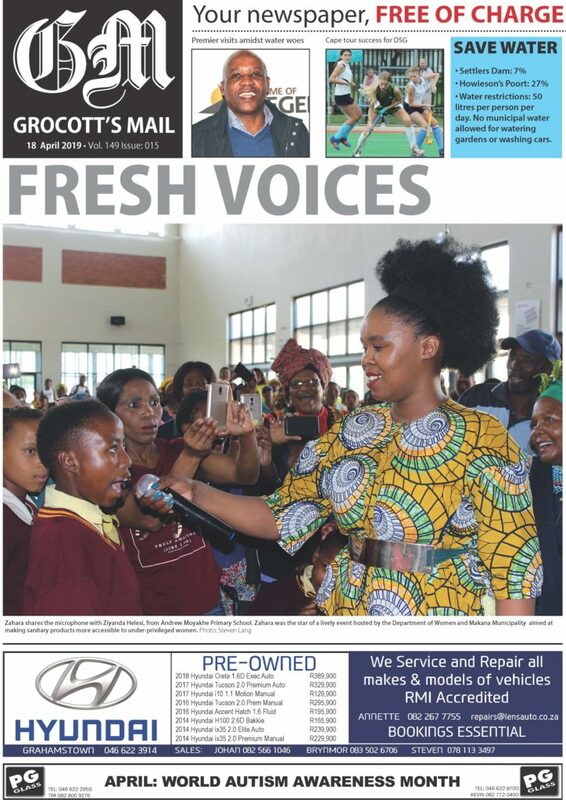 Kwani didn’t have the details of the subcontractor and referred Grocott’s Mail to the project consultant at HSC Consulting, who in turn referred queries directly to the Project Manager at the Eastern Cape Development Corporation. The ECDC is the official economic development and investment agency for the Eastern Cape and is wholly owned by the Eastern Cape Government. At the time of this update, Grocott’s Mail’s attempts to contact the project manager had been unsuccessful. We will update this article as more information becomes available. Mene said Mlenzana had made an offer to Makana Municipality regarding disciplinary proceedings concerning alleged financial mismanagement during periods when he was acting municipal manager. However, the Council had resolved to proceed with court action. SA Municipal Workers Union Shop Steward Wandile Duruwe Tuesday confirmed that industrial action was still under way by Makana staff in the Cleansing, Parks, Electricity and Water and Sanitation departments. The protective clothing and tools of trade at the heart of their action, although reportedly ordered, had still not arrived. Mene said Makana had not been formally apprised of industrial action and that following a meeting tomorrow, as the employer, they would know whether to proceed with industrial action protocols. In other words, Makana would be in a position to determine whether the action was protected or not. * This article was updated on 6 February 2019 to include Mfundo Kwani’s comment.